Ringo Chan, violist of Hong Kong Sinfonietta, was a member of Asian Youth Orchestra in 2007 and Assistant Principal Viola of the 18th-Century Orchestra of Dutch Orchestra and Ensemble Academy in 2009, and has worked with Lexington Philharmonic and Springfield Symphony Orchestras. 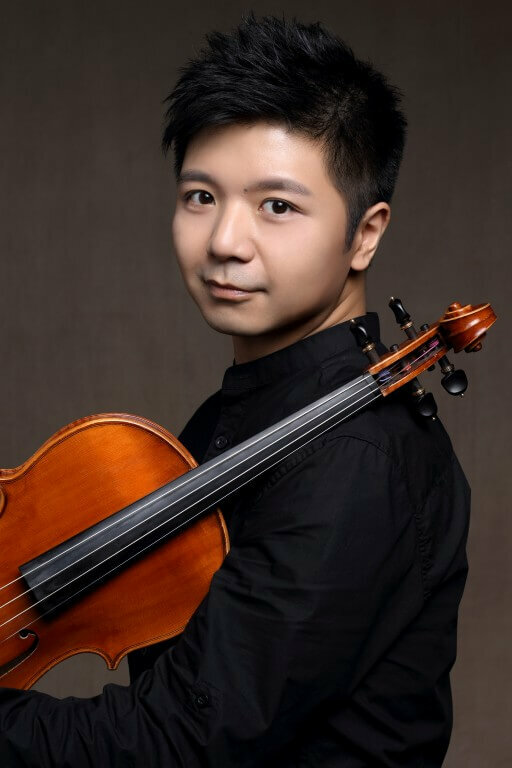 Founding member of Trio Cilliupe (twice winner of CCM Chamber Music Competition) which has toured USA, Chan has also worked with Awadagin Pratt and his “Wired” String Ensemble, frequently featured as a soloist. A graduate of Hong Kong Baptist University and Hong Kong Academy for Performing Arts (HKAPA), Chan obtained his Master of Music degree from College-Conservatory of Music, University of Cincinnati, where he also pursued his doctoral studies on scholarship under the guidance of Masao Kawasaki and Catharine Carroll.